Laurel Run Cabin overlooks Laurel Run in sleepy Halterman Hollow. Rest on the front porch and let the calming sounds of the water wash your cares away. 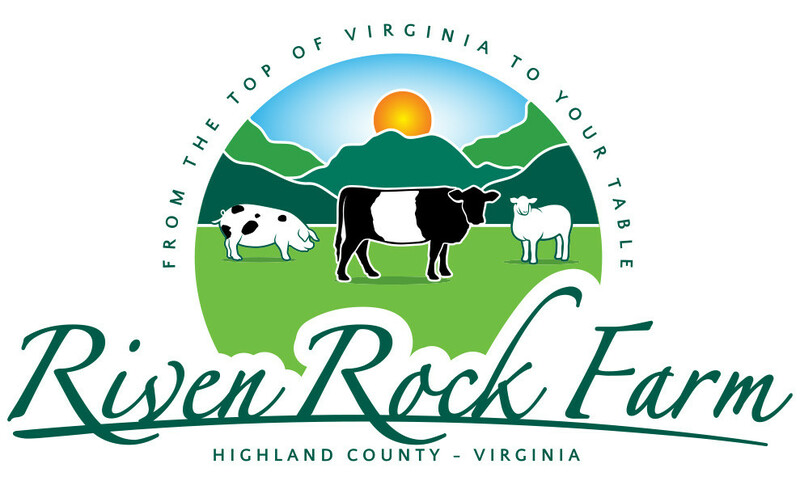 Enjoy the gazebo for outdoor dining and take a stroll on the 700 acres of beauty that are part of Riven Rock Farm. Perfect for a couple or an individual looking for peace and quiet, the cabin offers an efficiency kitchen, bathroom with shower and queen size bed. Located five miles from Monterey, we provide convenience to town along with the unique country experience of Highland county. $75.00 per night, double occupancy, plus 5.3% VA state tax and 2% Lodging tax ($80.48), no smoking, no pets, Two night minimum, check-in 3:00 pm, check-out 11:00 am. Payment in full, is required two weeks prior to your stay. Cancellations are without penalty with 14 days prior notice (30 days for Maple Festival). We accept personal checks, cash or credit cards. Cancellations with less than 7 days notice, (14 days for Maple Festival) we will refund any night we are able to rent the cottage to other guests. If we are unable to rent the cottage to other guests, there will be no refund. The cabin is available March 1st through October 31st. Feel free to contact us if you have any cabin questions, either by email or by phone at 540-474-3022 or 804-840-1057. A/C for summer and baseboard heat for cooler days. This 62 acre addition to our farm, has six ponds and over 1/2 mile of trout stream for fishing. Walking paths around the property provide you with an opportunity to visit the beaver lodge, and stroll through hay meadows and wildflower fields. The groves of sugar maples and spruce trees make homes for over forty species of birds. We offer free catch and release fishing with a single barb, on Strait Creek and in our ponds. The house sleeps 6 (1 Queen, one xl twin bed upstairs and 1 Full, one twin sleeper love seat downstairs). There is a full bath with shower upstairs and downstairs. We have baseboard heat throughout the house and a working fireplace in the living room. You bring the food and if you need help with that we can have our grass fed beef, lamb or pastured pork waiting for you when you arrive. Rates: $135.00 for double occupancy. Each additional is guest is $20.00 per day. A $35.00 cleaning fee will be applied for 3 or more guests. VA state tax of 5.3% and lodging tax of 2.0% will be applied. No smoking, no pets, two night minimum, check-in 3:00 pm, check-out 11:00 am. Payment in full, is required two weeks prior to your stay. Cancellations are without penalty with 14 days prior notice (30 days for Maple Festival). We accept personal checks, cash or credit cards. Cancellations with less than 7 days notice, (14 days for Maple Festival) we will refund any night we are able to rent the cottage or farmhouse to other guests. If we are unable to rent to other guests, there will be no refund. Feel free to contact us if you have any questions, either by email or by phone at 540-474-3022 or 804-840-1057.